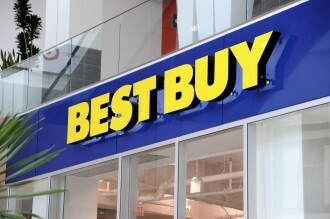 Best Buy has announced that Brian Dunn has resigned as CEO and director effective immediately. Director G. Mike Mikan will serve as interim chief executive officer until a permanent replacement can be found. In a prepared statement, the electronics retailer highlighted that there were no disagreements between the outgoing CEO and the company on any matter related to operations, financial controls, policies or procedures. There was a mutual agreement between both parties that it was time for a leadership change to address challenges that the company faces moving forward. Dunn had no formal education in retail when he took a job as a sales associate with the company in 1985. From there he slowly worked his way up the chain of command as a manager, district manager then regional manager in 1996. Over the course of the next decade he continued his climb through the ranks and took over as CEO in June 2009. Mikan has served as a Best Buy director since 2008 and was formerly the executive vice president and CFO of UnitedHealth Group. Dunn's departure comes just after the company reported a fiscal fourth-quarter net loss of $1.7 billion, although this was largely due to Best Buy’s purchase of Carphone Warehouse’s stake in a joint mobile store venture. In addition to the net loss report last month, the company also revealed that they would be closing 50 stores this year which would eliminate around 400 jobs as part of a restructuring program of sorts. If you remember, big-box retailer Circuit City ultimately suffered a similar fate in 2009 when they closed down their entire retail store operation and moved to an online-only format.